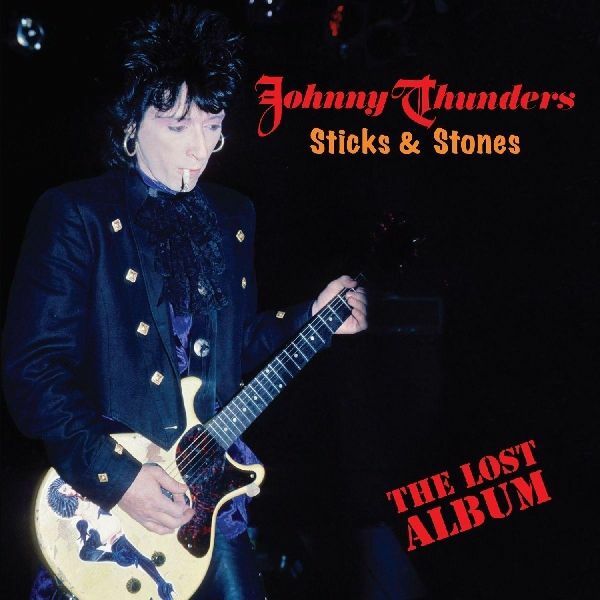 An excellent multi-media compilation of the late Johnny Thunders most ambitions and creative decade. DVD feat. an exclusive interview with Marky Ramone and a Johnny Thunders video. Live in Belfast recordings by this former New York Dolls lead guitarist. This set featured Johnny's most rocking songs including "Personality Crisis", "Chinese Rocks", "Alone In A Crowd", and "Born To Lose". This is Thunders live, raw and unpredictable. It highlights both Thunders standards such as "Born To Lose", "Chinese Rocks", "Too Much Junkie Business", with New York Dolls standards "Pills" and "Personality Crisis". 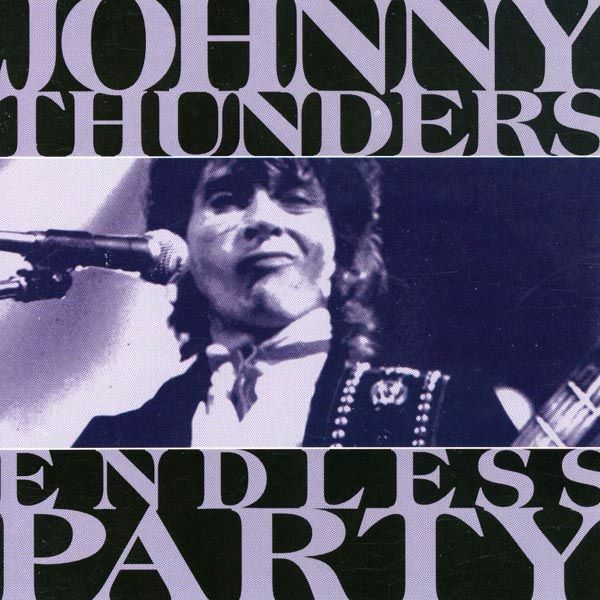 Making it additionally appealing is the inclusion of Thunders favorites not often found on live collections, such as "Alone In A Crowd", "Copycat", and the title track "Endless Party". Completely re-mastered and restored version of this long out of print album. Includes rare tracks from the same time period not featured on the original issue.Original album produced by the legendary Jimmy Miller ( Exile On Main St). Limited to 600 copies on coloured vinyl . Comes with insert with Nina Antonia liner notes in full. Limited edition 7", 500 copies on pink vinyl. 'In Cold Blood' recorded at Downtown Studios Boston 1982, produced by Jimmy Miller & Johnny Thunders. 'King Of The Gypsies' recorded at Studio Sound New York 1982. Both tracks have been re-mastered. 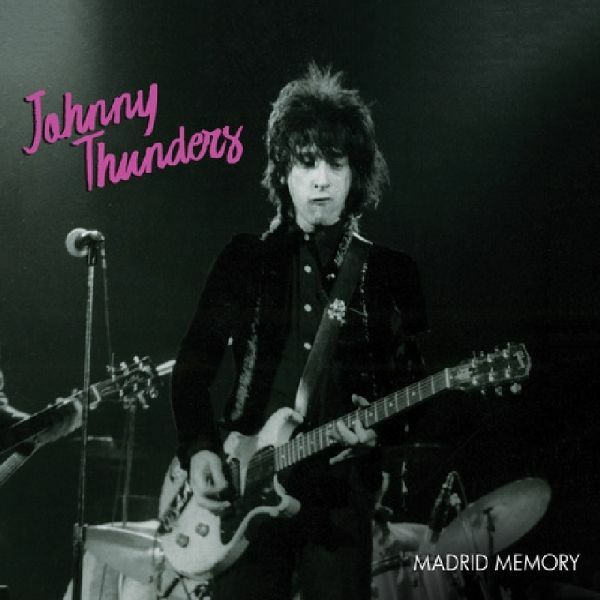 Recorded live at the Roxy Theatre in '87 and digitally edited and mastered to make an exciting presentation, this re-confirms Thunders place as a major inspiration and true rock 'n' roller. 18 tracks. A long lost live concert performance from The Heartbreakers explosive 1984 reunion world tour that included fellow Dolls Sylvain Sylvain & Jerry Nolan plus Billy Rath!Filmed for TV broadcast at La Edad De Oro in Madrid, Spain, this concert captures powerful performances of songs from throughout Thunders's amazing career including "Personality Crisis," "Too Much Junkie Business," "Born Too Loose," and the beautifully heartbreaking "You Can't Put Your Arms Around A Memory! "Available on special limited edition splatter vinyl! In 1985, after several years of drifting from live show to after-hours party, punk's Moses was shaken (briefly) out of his drug-induced stupor to cut an all new studio album. For this event, punk's elite was paraded in (John Perry, Stiv Bators, Glen Matlock, Patti Palladin, Dave Tregunna, Wilko Johnson and Mike Monroe) for guest performances and Thunders finally seemed to be buckling down to doing what his record label was paying him for. His number one priority was to write a song to win back his Swedish girlfriend, which he did with style in "I Only Wrote This Song For You" (apparently winning back said-girlfriend). He also churned out some classic punk mantras, as was his forte, with "M.I.A. ", "Little Bit Of Whore", and personal anthem, "Short Lives" and brought in a bizarre reworking of the campy classic "Que Sera, Sera", made famous by Doris Day...which, needless to say, sung by Johnny had a whole new set of connotations. While perhaps not the classic work of his earlier material, this album proved that he still had something to offer his fans. Unfortunately, half a decade later, Johnny would be dead, leaving this as one of his last testimonies of what could have been and what was. Some Hearts - The Last Album (1990) features eight studio tracks recorded in 1990 in NYC for what was to be Johnny Thunders next album. 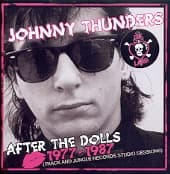 Instead, a few months later Thunders was dead, but new songs like "Children Are People Too", "Some Hearts" and "Familiarity Breeds Contempt" suggest that the ex-NY Doll may have not been as far gone as most fans believed. On the contrary, the strength of this material suggests that he may have actually been ready for a comeback. The remaining four bonus tracks-including classics like "You Cant Put Your Arms Around A Memory" and "Hurt Me"-are from a rare 1982 acoustic performance. 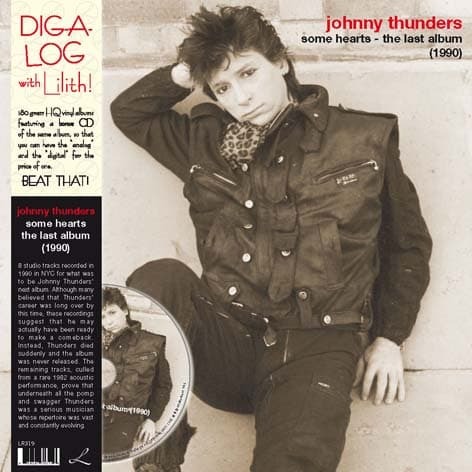 Culled from the vaults, this compilation feat the studio reording that were to become a new Thunders album ( cut short by his death in 1991) plus ultra rare acoustic sessions and lige tracks. 23 tracks in total !! 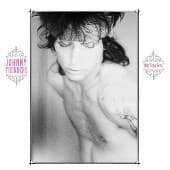 A very rare gem from the driving force behind legendary NY punk bands the New York Dolls and the Heartbreakers, Johnny Thunders, issued on collectible 180 gram pink vinyl in a 2LP set!Culled from the vaults, this compilation features the studio recordings that were to become a new Thunders album (cut short by his death in 1991) plus ultra rare acoustic sessions and live tracks - never released anywhere else!This is an essential piece of the Thunders legacy that collectors and music fans of all stripes will enjoy!